I’ve lived my whole life in Kentucky – where there are distinct seasons. It’s easier to like winter when I know spring really is coming. I love summer, but fall is always welcome after the long stretches of 95 degrees and a million percent humidity. I applaud Mother Nature’s seasons, but I somehow still hesitate to embrace God’s seasons in my life. 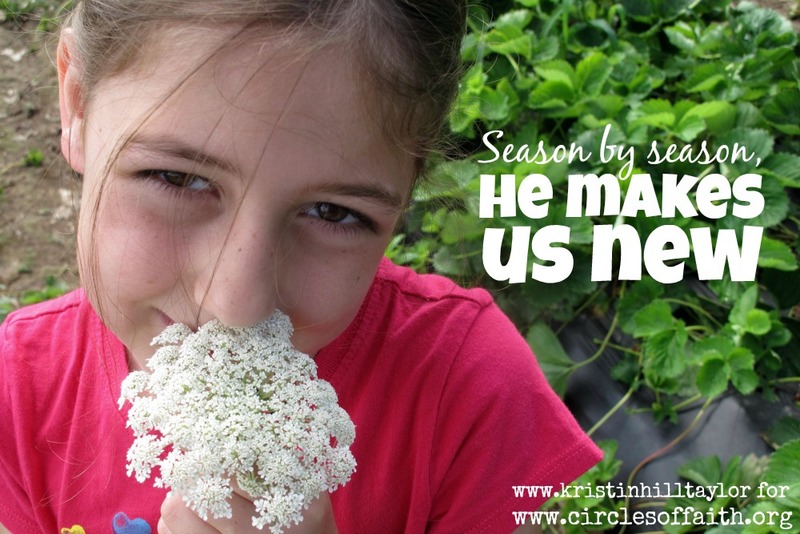 The creator and sustainer of time, God uses seasons to shape us and grow us. Sure, waiting is hard sometimes, but God doesn’t waste that time. He wants us to worship him while we wait for the next season. Waiting may mean putting a dream on hold until God opens the necessary doors. Sometimes life – especially with littles ones – seems like it’s made up for long days that make up short years. God wants us to treasure those days anyway. Parenting is a calling that God certainly uses to sanctify us and remind us to find him in the present moments. Some seasons are hard and others are exciting. Regardless, God wants to depend on him and learn from our experiences. Those hard days grow our faith while the exciting ones give us opportunities to proclaim God’s faithfulness. I'm linking up with the Soli Deo Gloria Gathering, where real life and the seasons that come are embraced. Kristen, your header is just adorable.